I like to provide inspiration for you. I continue to hear that you can’t bare to cut my Hand Marbled fabric. Here is a wonderful idea by Kathy McNeil. 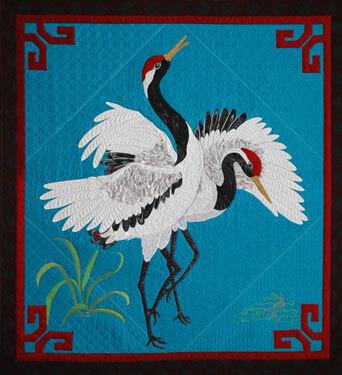 Silk and Sashiko These endangered cranes have a beautiful mating dance. Take a closer look at the Cranes neck and the wing tips. The Black Hand Marbled Fabric adds depth, motion and texture. 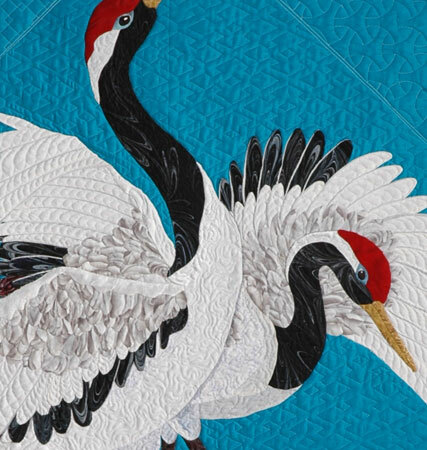 Kathy has a pattern for Dancing Cranes.